The holidays can be one of the best times of the year, and it can also be one of the hardest times of the year. This is especially true for families who may have fallen on hard times. 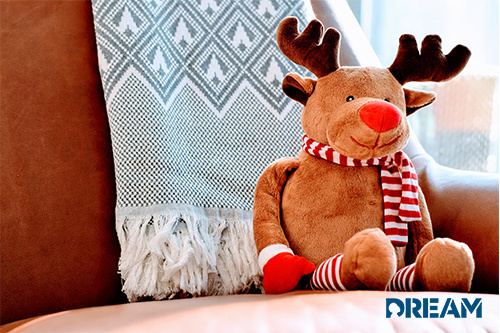 Everyone wants a few simple things during the holidays, to gather around the dinner table with the ones we love, shower our kids with gifts, and stay warm during the cold winter months. Those things aren’t always so simple. Not everyone can afford to make those things happen, and it’s hard to swallow our pride and ask for help. There are many holiday assistance programs that can help parents who have fallen on hard times. These programs work with charities, government, and community organizations that provide Thanksgiving and Christmas food baskets, holiday meals, toys, gifts and financial help to families in need. You may also be eligible for assistance with bills. The Salvation Army facilitates gifts through community organizations. They give toys, help with bills, assist children of prisoners, and offers groceries and hot meal programs. The Salvation Army is able to do so much for the community with the help donations from individuals, community organizations, and corporations. They also help provide assistance with rent and utilities. If you need rent or utility assistance, you can call your local Salvation Army to make an appointment. If you need clothing, furniture or household items, you may qualify to go to a Salvation Army thrift store. You can also receive prescription vouchers if you are presently living in a shelter. The Salvation Army also offers nursing, meal programs, food pantry, emergency shelter and eviction prevention. Catholic Charities is an international faith-based organization that is dedicated to helping disadvantaged families and individuals in the community. Catholic Charities helps everyone, regardless of their faith, who is struggling with poverty and other complex issues. They have been providing a host of services to the community over 100 years. The largest group of people receive help through their feeding program. They offer hot meals, emergency groceries, soup kitchens, food boxes delivered to seniors and the housebound. If you are facing eviction or disconnection from utilities, they can help. Christmas is a special time of the year, especially for children. It can be difficult for parents who love their children but cannot afford to buy toys for them. There are Christmas assistance programs that give away toys and gifts for kids. These programs work with low income homes to provide Christmas presents for children and the elderly. There are many families that are looking for assistance each year. The key thing is to apply for a toy or gift early, so your child is placed on the list for a Christmas toy. Not everyone will qualify for these Christmas assistance programs like the free toy program. Help is given to those at-risk families. Eligibility is based on gross monthly or yearly family income. When you apply, you must present proof of identification with photo, proof of address, proof of income, proof of the age of the child, and proof you are the parent or guardian of the child receiving gifts.